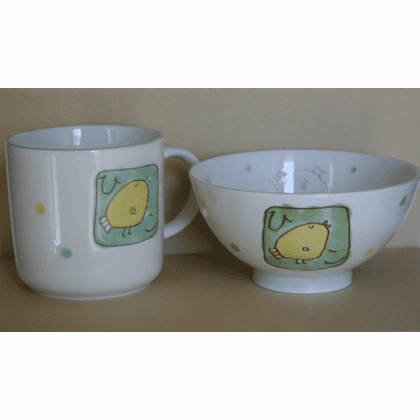 Ceramic rice bowl and mug with yellow chicky. Bowl is 4-3/8 inches in diameter, 2-3/4 inches high. Mug is 2-7/8 inches in diameter, 2-3/4 inches high, Holds 6 ounces.